Hurrah! 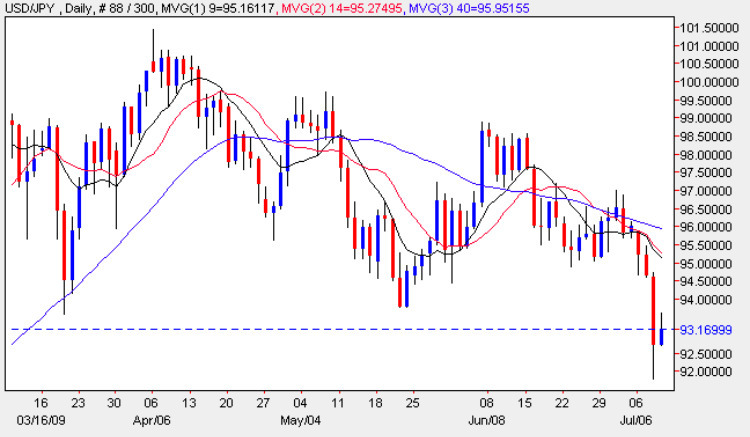 Finally the USD/JPY sprang into life yesterday and with one enormous bound cleared the 94 price handle reaching an intra day low of 91.85 and closing the session on a wide spread down bar which has finally broken out from the sideways trading range of the last few months. From a technical perspective the downward pressure is also confirmed by the three moving averages which are now pointing sharply lower and should we see a close and hold below the 94 resistance level which should protect us from any move higher, then we now look to build short positions moving forward as we look towards our next target of 91. However, only a weekly close below 94 should give us a degree of comfort and confidence in trading this pair to the downside.